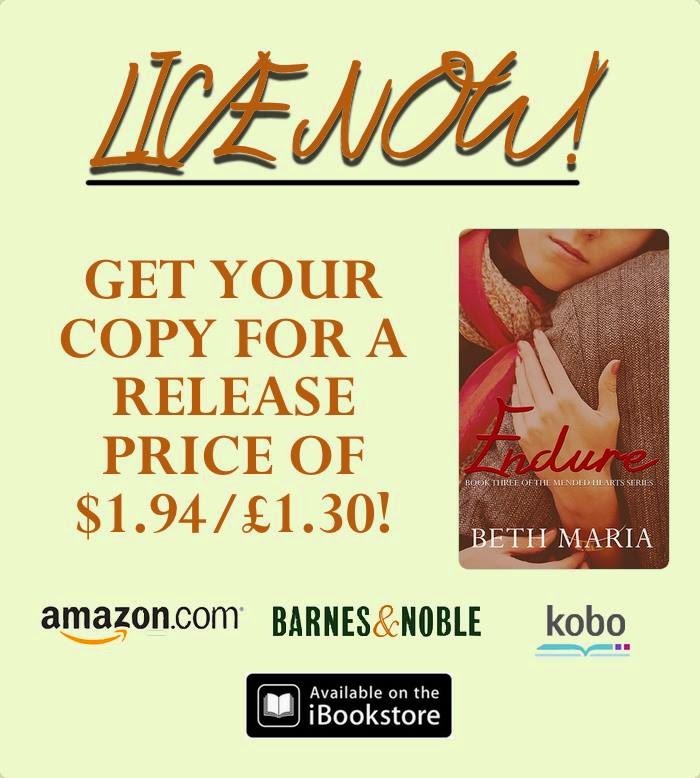 Endure By Beth Maria is now LIVE. After everything we had endured together, we were finally getting married. 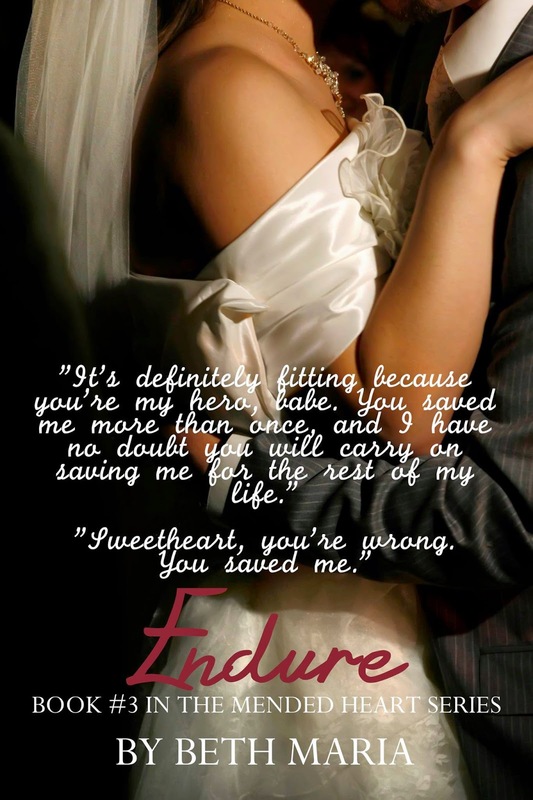 He was finally becoming mine and I was finally becoming his. Life was perfect. A year later, we decided it was time to take the next step in our marriage â trying for a baby. Itâs what Iâve wanted for as long as I can remember â what weâve both wanted. But sometimes, for some people, it doesnât always happen like itâs meant to. Sometimes it isnât your time to have a baby and the endurance of failure leaves you only a half the person that you once were. Our perfect life was crumbling. 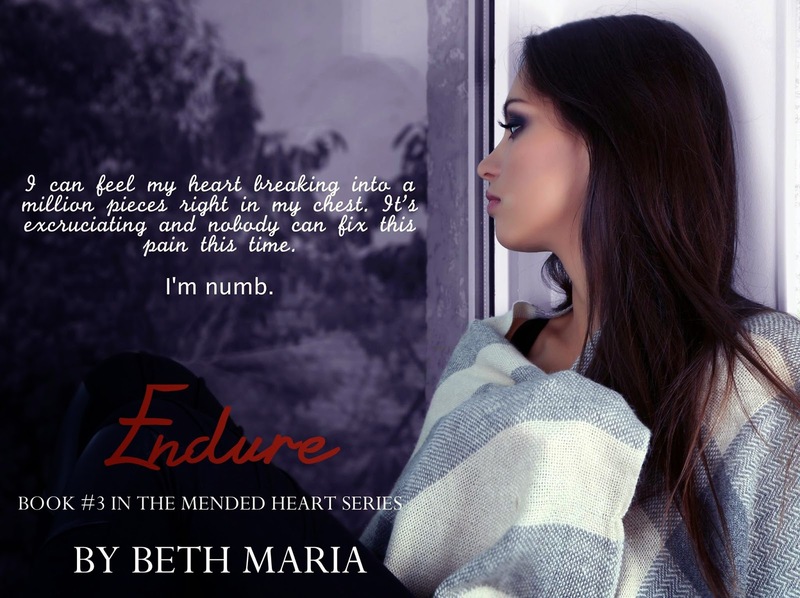 Were we strong enough to endure this test?